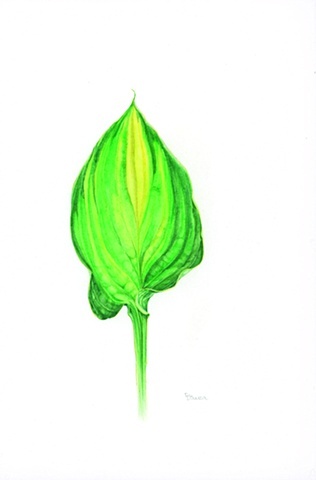 Our local botanical art group was commissioned to paint Hosta leaves for the National Hosta convention, held June 2010. These leaves were displayed at the convention. The starting price for these specimen paintings are $500.00.